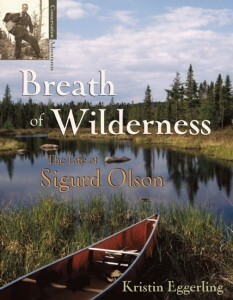 Threats to his beloved wilderness thrust Sigurd Olson into the fight to save it. Sigurd became a national wilderness hero, but was it worth being shunned and hung in effigy? 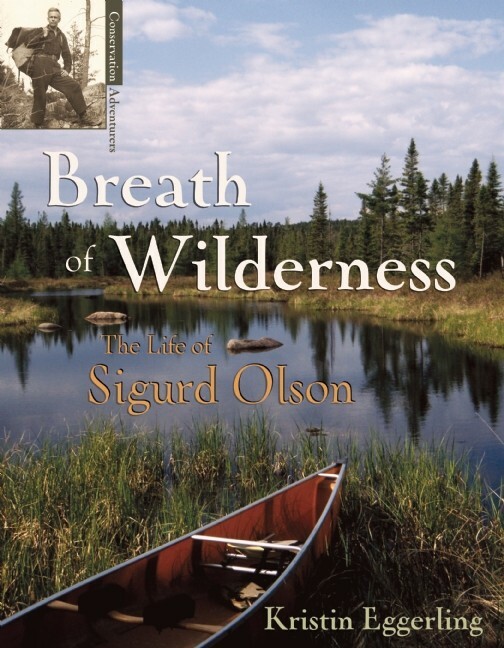 Sigurd Olson — Breath of the Wilderness is the story of Sig’s love for wild places and how that love transformed his life, inspiring him to play a key role in the movement to preserve wilderness throughout North America, including the Boundary Waters Canoe Area Wilderness, (BWCAW), the largest lakeland wilderness in the country. Sig’s successful writing career, born from his devotion, spread his fervor worldwide. This is a story of one man finding his passion and standing up for what he believed even in the face of tremendous adversity. Sig’s love affair with nature is especially timely as children today are becoming alienated from nature and the movement grows to restore their connection with the outdoors. There are no other books written for children that tell Sigurd’s story. The Boundary Water Canoe Area Wilderness and other wild places continue to face threats, like mining and development, which makes this book especially relevant today. Kristin fell in love with Sigurd’s life story and believes that you will, too. This is her first book. Your book sounds like something our customers would like to read. They love local authors. Would you like to set up a book signing at our store around Oct.15th, when your book comes out? Let me know and I can set you up!! The book is officially available. Buy your copy today.